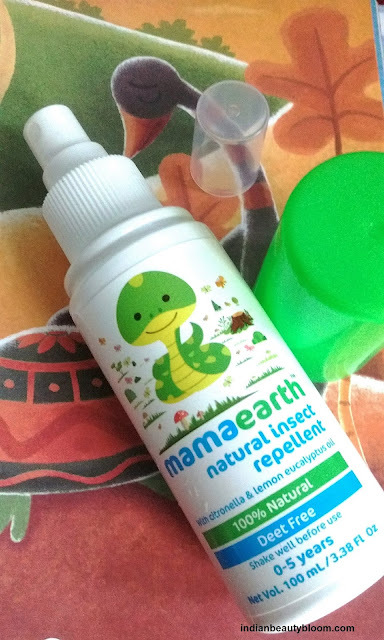 Back with one more interesting review of a Mama Earth product . It’s Natural Insect Repellent Review . Mama Earth is Asia’s 1st Made safe brand . All its products are toxin free and chemical free , made from natural ingredients . I have used several products from this brand , all are good . This one is also good . 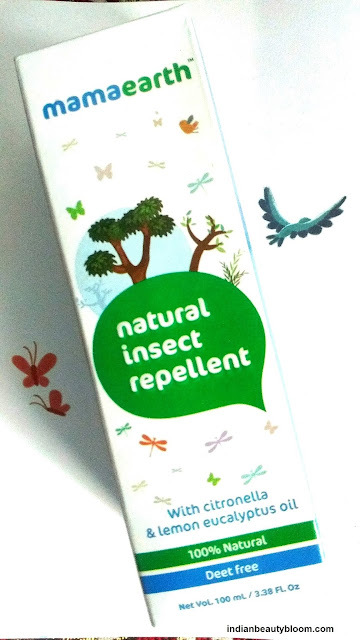 This Natural Insect Repellent is a 100% Natural product which is Deet Free and is a blend of essential repellent oils like Peppermint , Castor , Eucalyptus etc . It’s safe to use even for small kids and infants . Earlier the Mosquito repellent were not Deet Free. 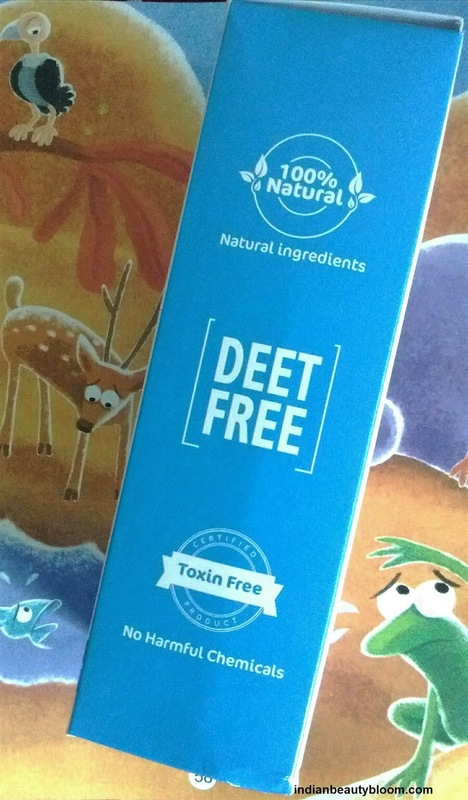 Deet is a synthetic chemical and a powerful solvent which gets absorbed through skin , so was not advisable to use for small Kids under the age of 12 . And products with Deet has an unpleasant smell. 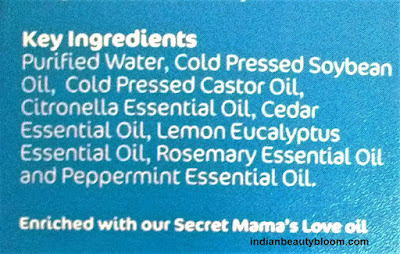 It is similar to other mama earth products like Gentle Massage oil & Sunscreen Lotion . The product comes in a good quality bottle with a nozzle at the top from which product can be easily taken out , so no wastage of product . It’s Travel friendly too , can be easily carried in bag or purse . 1. A toxin free & Chemical free product . 2. Does not contains parabens or sulfates . 3. Product packaging is good and travel friendly . 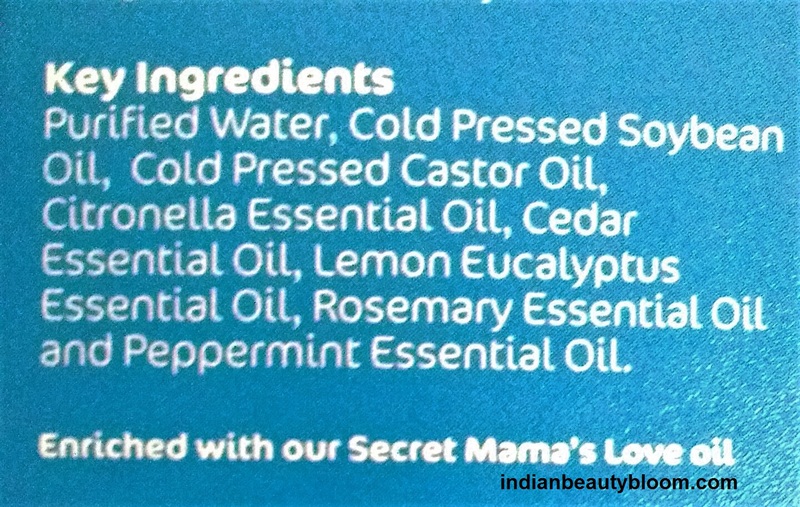 5.Safe to apply on babies skin . 6.Is an effective product , helps to keep away mosquito’s . 7. Has a Nice Lemony Fragrance . 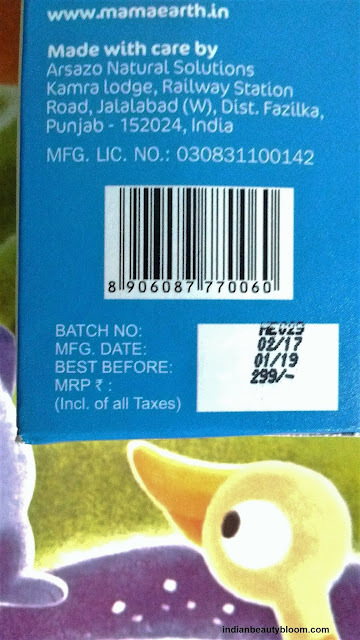 I tried this product myself before giving it to my kids . It’s quite easy to apply this on skin , one needs to apply this on exposed area’s like hands and feet , I avoided face and neck area . So after trying myself I asked my Kids to use it in the evening when they go out to play . Would surely Recommend this to others as its a good product in affordable range , the best part is it does what it claims and it’s a toxin free and safe product . The only thing one needs to be careful about this product is this should not be applied on cut’s , wounds or irritated skin or else it can cause problem . One can check this product at Online stores like Amazon.in , Nykaa.com & Gonutrio.com .